As we cruise round the Greek Islands, we are gaining an historical insight into the early beginnings of wine making and drinking, and the myths and legends that accompanied it. Greece is full of history when it comes to wine. Or maybe I should say full of wine when it comes to history. And mythology. Our first port of call when we arrived in Greece from Turkey was Kos, where we saw the tree (supposedly) where Hippocrates came up with his famous oath. He was a clever bloke, and spoke often about wine and its numerous health benefits. I am not sure however that trees live that long. When it comes to Greek mythology, they seem to have a god for everything and in the case of wine its Dionysus, son of Zeus, who was the god of the grape harvest, winemaking and wine, and also interestingly enough - of ritual madness. 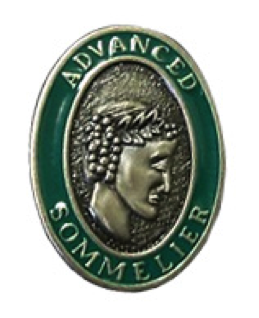 His image can been seen today on the Sommelier’s pin – an important pointer to the key role Greece played in the history (and mythology) of wine. He was also known as Bacchus, the name adopted by the Romans (as well as Sean). 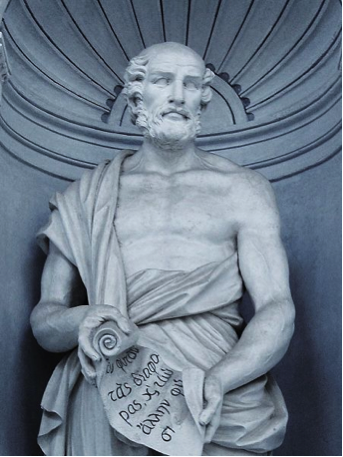 Stepping back out of mythology and into actual history, we tracked down a man called Theophrastus that lived in ancient Greece who was born around 371 BC and could rightfully be called the godfather of Greek wine. Theo was a scholar in the Aristotle school who described how the aromas of wine are not putrid like other rotting plants because of the fermentation techniques used. Theo offered many observations on wine growing techniques including matching soil types with different varieties, vine training, and even reducing yields to make higher quality grapes. He also talks about wine’s health benefits – something that he can personally attest to given he lived to the very old age of 85. Greek poets were the wine writers of the day who touted specific regions, including the islands of Limnos, Chios, Kos, Lesbos and Crete. These writers referred to wine as ‘sweet’, ‘dry’ or ‘sour’. The Classical Greeks m ade white wines and red wines (which they called black wine). Sour wines were produced with unripe grapes and had heightened acidity. Since wine preservation methods were poor at best, their wines oxidised quickly. Black wines were highly valued, unoaked and sometimes flavored with herbs or tree sap.The very ‘best’ wines ended up being black wines, which had the most resistance to oxidation. The Greeks stored and transported their wine in earthenware jugs (amphora) that held the equivalent of about 4 bottles of wine in todays terms. They drank their wine usually in a decorated rhyton, a horn-shaped cup made of horn, bronze, gold or clay. Rhytons can’t really set it down because of their shape . Therefore it was likely that wine drinkers in Classical Greece chugged a whole rhyton or shared it ceremoniously. So if you like your wine oxidized, unchilled, out of strange earthenware glasses that you can’t sit down then ancient Greece could be the time and place for you. Personally, that doesn’t sound too appealing - so here’s hoping we find some reasonable wine in modern day Greece as we sail around.